“We are all parts of a much bigger system – of a living and intelligent Universe, and its well-being depends on a well-being of each of us. Informationally and energetically we are all connected. It only makes sense that if one of us develops adaptation problems and, therefore, cannot properly function for the benefit of the Universe, the surrounding systems are always there to assist in healing. The Universe is self-controlling and self-regulating too. Systemic Interactive Medicine is a concept, which implies the improvement of the capacity of a living system to regulate and heal itself through interactive communications with other systems on all systemic levels (physical, mental and spiritual; material, energetic and informational). Simply put, SI Medicine means “healing through INTERACTIONS“. Even though I believe that it is possible for a person to make the journey to health alone, I also believe that it should never be the case. I believe in healing through Systemic Interactions. Whether we accept it or not, we are born into a world of systems; that’s how our Universe is constructed. 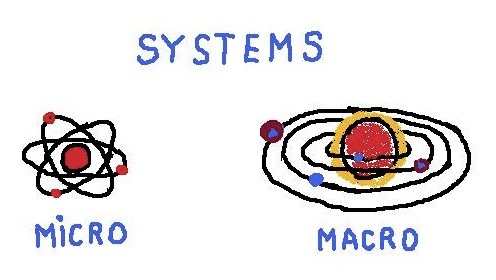 Systems of various sizes and levels of complexity give birth to one another, live, die and interact continuously. Smaller systems form parts of bigger ones, and then even bigger ones, to ultimately become the Universe, which is a living system in its own right. Universe is holographic, repeating itself in every single part of the whole (for example, the atom very much resembles the Solar system). 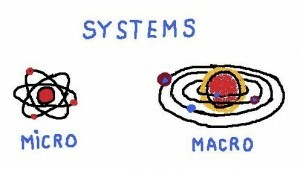 That’s why each and every system has a similar basic structure, goes through the similar cyclical processes, and lives according to the similar rules and principles. And we carry the entire Universe inside as a microcosm reflecting macrocosm (the holographic principle also states that every part of the whole contains information about the entire whole). I hope you will forgive me for this ‘sidetrack’. I’ve always believed that in order to understand something, one should always consider the bigger picture – and I cannot imagine a bigger picture than the Universe. The Universe is intrinsically COHERENT – and in order to function properly requires coherence in every part of itself. Coherence (harmony, synchronicity), however, is a very fragile and dynamic state. Our environment tends to constantly throw us out of balance in one way or the other. Capacity to heal is our God-given RIGHT, as well as RESPONSIBILITY. But what if a system cannot correct its own incoherence? What if it is so weak or confused that it cannot heal properly? Mother Nature provides us with abundance of opportunities to restore coherence. We can immerse ourselves into the coherence of the Earth by connecting to it (walking barefoot, swimming in the ocean, hugging trees etc.). We can absorb the vital Sun energy – and the energy of organic food and living water. We can enjoy the beauty of the world we live in through all our five senses… and strengthen our spiritual connection to the Universe. Yet one of the most powerful and efficient ways to regain the state of balance and one of the Universe’s greatest gifts to its favorite children we rarely consciously utilize. This is the gift of CONNECTION to other living systems just like us, but more coherent at the moment. I call it Systemic Interactive Medicine. It is one of the most powerful medicines around. This is the reason I do not favor dealing with chronic systemic disorders on your own. For effective healing, you need systemic interactions, and at least one of those should be an interaction with a knowledgeable practitioner, who addresses this natural process consciously, can regulate it, and guide you on a healing path. That’s what happens during Systemic Interactions. When two living systems come in contact with each other, their energy and informational fields blend. This does not happen right away though. 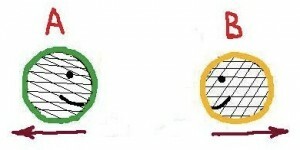 First, the stronger system (system B- the more coherent one) in order for a blend to happen mirrors the one in need (system A – the one with ‘scrambled frequencies’). Familiar information makes the hurting system feel comfortable and at ease and provides for a better connection. When the blend happens, both systems start acting as one creating a common field. Both systems together form a new functional union, qualitatively different from each of its parts. 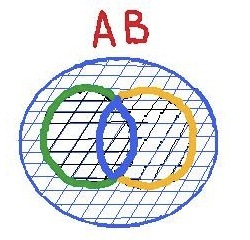 It is not the separate interacting systems A and B any more – it is a new system AB, which has inseparable A and B parts in it. The stronger part becomes a sort of a ‘tuning fork’ for the weaker one, re-aligning and re-balancing its vibrations. Even though the new union initially is not quite coherent due to the disturbing influence of the hurting system, it thrives to regain the higher level of coherence. Coherence is the natural healthy state of any system, regardless of the size. Hence, the orchestra of the new system AB will be working hard to synchronize and harmonize its vibrations and start playing the music. 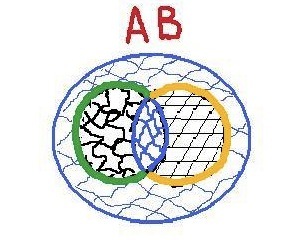 After the above is achieved, systems A and B can disconnect – but now each one is more coherent than before the interaction. Even the originally stronger system B (if you are a healer, you probably noticed that when you are feeling a little blue, the best remedy for you is to treat someone, right?). 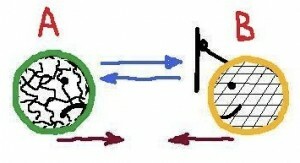 The described mechanism can be seen in all systemic interactions. It became the basis of a new health concept – Systemic Interactive Medicine (SI Medicine), which studies healing through interaction with other systems. If you are a health practitioner or a caregiver, you can trace this dynamics of systemic interactions with every client. No matter if you believe in energy medicine or not (and if you are reading this article, you probably do), the phenomenon of energy and informational transfer between a practitioner and a client happens EVERY TIME. In most cases though there is no actual “energy transfer” – only information and a temporary disturbance of your frequencies and vibrations with an imprint of the incoherent vibrations of your client. Are you seeing now where the old credo “Physician, health thyself” came from? And why sometimes you are temporary experiencing your client’s symptoms? And why you should not treat someone you feel “incompatible” with? And why you feel so joyful when your clients get well? In order to increase the efficiency of healing interactions, SI Medicine utilizes a new class of interactive medical devices, which use a feedback mechanism in order to increase the level of coherence in a living system. Some of these devices, like the Solaris Blanket, are passive energy mirrors. Others, like SCENAR and COSMODIC, in constant dialog with the body actively seek the strategic points on the body through which the body’s attention can be directed to the problem in order to resolve it the most efficient way. In the world of systems you are never alone. Eternal beauty of the living Universe is a reflection of its intrinsic harmony, and the Universe keeps this harmony taking care of each of its parts, you included. Your health contributes to the health of the Universe, so its resources are open for you. There are helping hands everywhere, all you need to do is ask – and you shall receive.